I know I don't write these posts very often, but I hope you like them nonetheless. My oldest daughter and I were talking the other day about how there are many ways to be strong. Strong enough to carry a big stack of books to the library, and the other type of strong, the type that requires being a little bit brave. Adjusting to school has been a difficult transition for her, with some tears and anxiety. I feel like the older my kids get, the more I am making the transition from dealing with their basic needs (food, potty, etc.) to their emotional needs. Phew, and it's just as exhausting, but in a totally different way. But it is the innocence of it all that inspires me. My daughter made the comment that she's strong and brave when she wears her superhero cape. And I loved that idea. 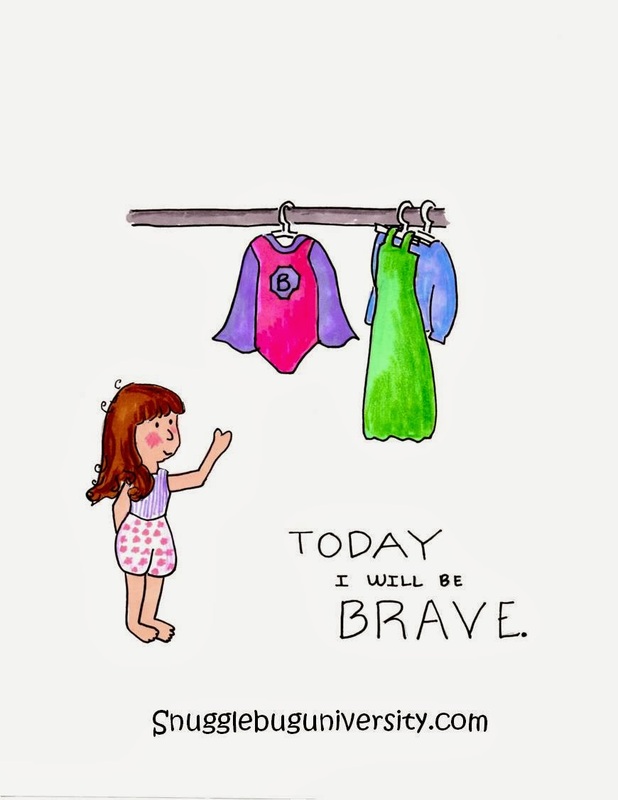 The idea that wearing an outfit can make you brave, make you stronger. There is some truth to it though, isn't there? Any mom that's spent their day covered in baby spit up and spoiled milk totally understands how a nice clean cute outfit (ok, a shower helps too...and maybe a little time away) can make you feel so much more put together. Or what about a new suit or outfit for a job interview? maybe a tad bit braver, or just more prepared? My daughter and I decided that she needed something to make her strong for when she goes to school, and we put together a necklace that she could wear. It has a letter L (a gift from her grandmother) and a little silver owl that I wore when I was a little girl. And it has made things better. Everyday she has worn it to school...until the other day when she (and I) were running late and forgot about it. And she was fine. And there's something special about that too. Here's a few things on my mind. I'm really thinking I need to give this 5 minute cupcake recipe a try. I'm working on another story themed photo book for my daughter's birthday. This one is going to be based off of the "If You Give a Mouse a Cookie" series. We're getting ready for fall. I made my first fall wreath. Nothing special...but it works.